n 1878, the renowned Jewish writer Sholem Yankev Abramovitsh published a Yiddish version1 of Don Quixote entitled The Travels of Benjamin the Third.2 In the novella, Don Quixote and Sancho Panza are reconstituted as two small-town Jewish fools, who are traveling through Poland on their way to Israel. The novella mimics the structure, plot, and characters of Don Quixote. However, The Travels of Benjamin the Third pushes themes from Don Quixote to satiric extremes. For example, in The Travels everyone is as mad as the Jewish Don Quixote, Benjamin, and the relationship between him and Sancho Panza (Sendrel) is an homosexual marriage. Source: From: Cervantes: Bulletin of the Cervantes Society of America 17.2 (1997): 94-105. So this text is even weirder than I thought. Jewish Don Quixote marries Jewish Sancho Panza? How queer! 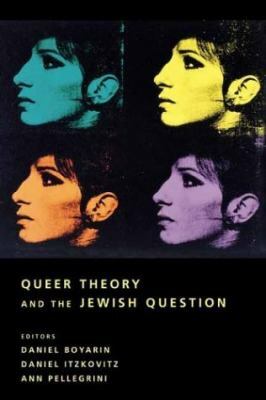 So now I’m wondering about prevalence of queerness in Yiddish writings. Okay, that’s all for now, but notice the image above. I must read this book. It looks fabulous (plus, Babs is on the cover and I love my Babs).